The carriage tour lasts approximately 1 hour. 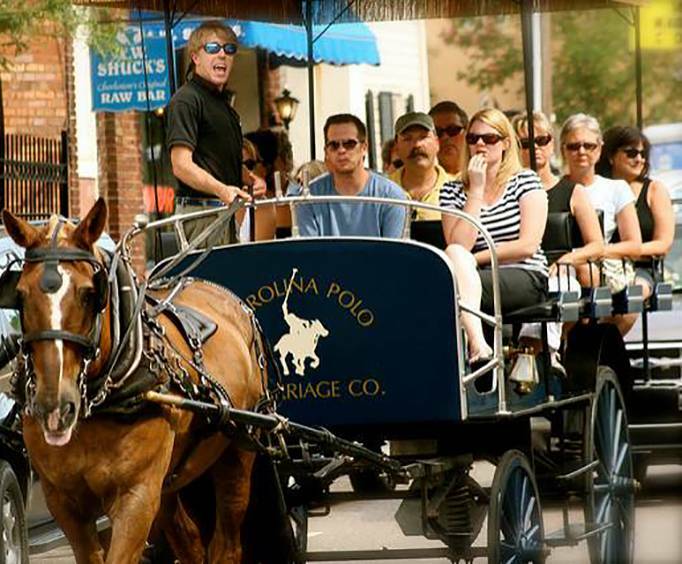 Embark upon an unforgettable adventure through the streets of Charleston, SC with the 1 Hour Carriage Tour; if you are looking for the perfect sightseeing experience, this is the one for you. 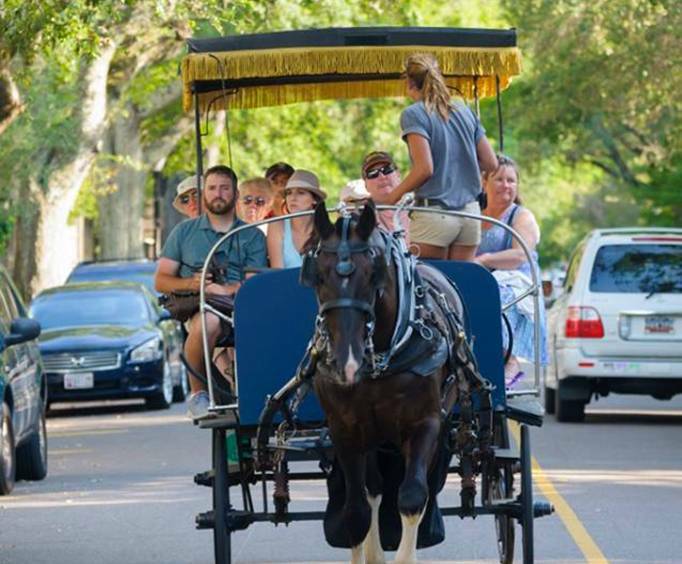 Guests will meet their carriage ride in the Historic City Market where they'll then be whisked away on a fairytale-style experience that leaves little to be desired. Climb aboard with friends and family or meet some new faces on the public group tours. With several different routes available, you could even ride multiple times and still learn and see something new. Old Exchange Building: Located at the intersection of East Bay and Broad, this historic building served as a POW camp during the Revolutionary War and is currently a museum. It was designated a National Historic Landmark in 1973. The Edmonston-Alston House: This Greek-revival style building was one of the very first homes to be built away from the wharves and docks in the area. Currently, it is a museum that features Alston family furniture, books, and more all dating back to the 19th century. 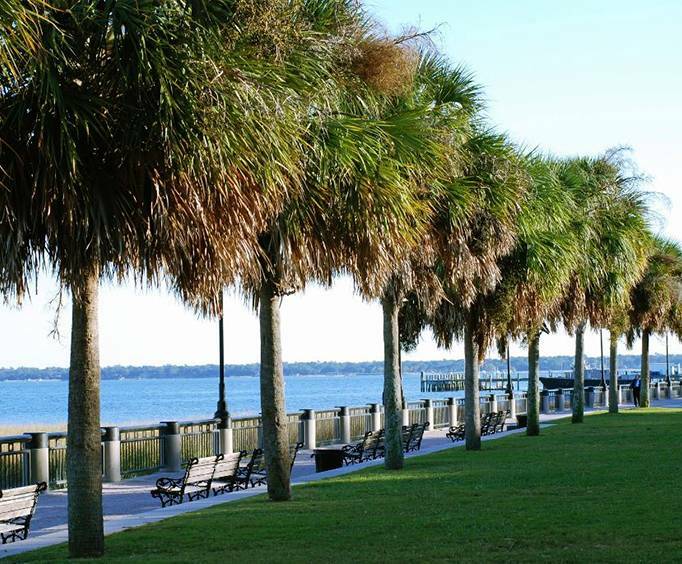 White Point Gardens (The Battery): Nestled in the middle of the historic district of Charleston, the White Point Gardens house everything from mortars to cannons from the Civil War as well as the epitaph of Stede Bonnet. Calhoun Mansion: See one of the most beautiful homes of the Civil War era when you pass by the Calhoun Mansion. This mansion has been completely renovated and still stands as one of the most impressive pieces of architecture in the city. Historic House Museum (Nathaniel Russel House): Settled at 51 Meeting Street, this home was built in 1808 and is considered one of the most important Neoclassical homes in the entire country. Currently, it houses a collection of Charleston-themed objects. To truly appreciate and understand the cultural and historic significance of Charleston, SC, embark upon this carriage tour. Not only will guests be able to see some of the best sights in the area, but they'll also be taken along for a unique adventure via horse-drawn carriage.